Do you hear the phrase “high style” and think expensive? Well, with the Fleurco line of glass shower or tub enclosures, you can create stylish solutions for most any budget. Whether you are remodeling your bathroom or building a new home, Fleurco products offer a wide range of options from a high end frameless intelligent hinged system, a mid priced semi-frameless sliding or pivot door to a low priced value line. Fleurco pivoting shower doors open outward to 90 degrees making them a perfect solution for bathroom remodeling. Pivoting doors reduce the danger of slipping with a wide opening and a strong handle grip for added security. The sophisticated look of pivoting doors lends itself to luxury remodeling projects; however, many styles and options are available. For example, the frameless two-sided corner stall with intelligent hardware (pictured above) is a part of the luxury line. The value line, by contrast includes a framed pivot door system with rain glass that provides privacy and is cost efficient. Both of these door systems have the added benefit of being easy to maintain. A sliding glass door is often the perfect solution for small bathroom projects because it can slide behind itself. 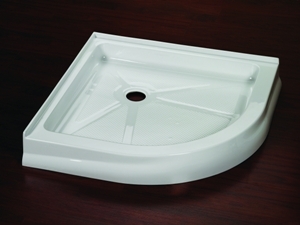 This provides a sleek and seamless look for showers or bathtubs. Fleurco sliding glass doors operate with just a tap of the finger due to the smooth sliding system. A sliding door allows for creative solutions in small spaces including the ability to access the shower from either side of the door. This product makes universal design easy! The bath screen adds a clean and elegant look to your bathroom. This feature is a simple and effective way to eliminate a messy, mildew covered shower curtain. Of all the shower and tub doors, the bath screen is the easiest to clean because it is a single sheet of glass extending from the wall. A frame is not necessary which makes installation quick and easy. With a 20-degree inward swing and a 180-degree outward swing, the bath screen minimizes messes and maximizes accessibility. This option will also increase the safety of a hazardous area by providing added light and a wider open space to get in and out of a tub. The inward/outward opening of the bath screen can vary depending on the type of screen you choose, and the amount of space you have to work in. For example, some bath screens open 40-degrees out and 50-degrees in. Bases for in line, alcove and bath to shower conversion include bowfront, roman half curved and quad. Arc, round, NEO and square bases are best for sliding and pivoting projects in small spaces. Slice and wedge bases are best suited for roomier corner stall projects with a sliding, pivoting or walk-in door system. The bowfront base is best for a bath to shower conversions while a roman half base is best used with a pivot door or walk-in system. A quad base is your best bet for creativity as it is the most flexible for customization. Fleurco products are European inspired designs that use innovative ideas to create long-term value for customers. Everything is done for a reason with Fleurco products; rolling systems and hinge systems are created in such a way to ensure low maintenance and high performance. All of the products are manufactured using clean friendly materials. 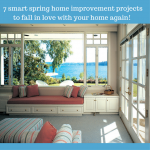 At Innovate we want to help you create your dream bathroom. We offer free consultation online, or you can call us at 877-668-5888 from any location nationwide! Be sure to follow us on Facebook for news updates, pictures and a weekly gift card contest give away!